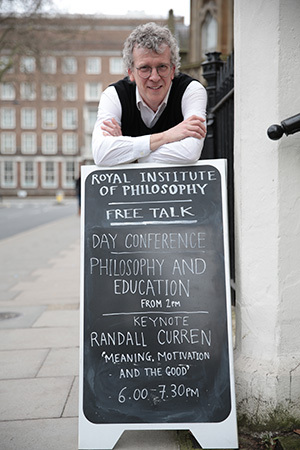 View Professor Curren’s Professorial Inaugural Lecture, “Meaning, Motivation, and the Good” at the Royal Institute of Philosophy in London, January 24, 2014. 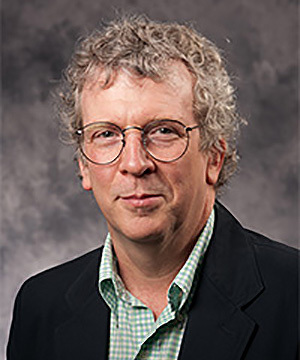 Hear Professor Curren’s interview for the PIPEline: Profiles in Philosophy of Education, podcast series, published August 1, 2014. I am an ethicist who works across the boundaries of moral, political, legal, environmental, and educational philosophy, often in ways grounded in my scholarship in ancient Greek philosophy and often collaboratively with colleagues in other disciplines, including law, history, sociology, psychology, psychometrics, and geology. Moral psychological constructs that are important to the fabric of society have long been at or near the center of my interests: well-being, responsibility, negligence (as a legal construct and basis of liability), virtues, rational self-determination, and forms of impaired agency such as weakness of will and states of denial. My 2000 book, Aristotle on the Necessity of Public Education, was a unitary interpretation of Aristotle’s Politics and Nicomachean Ethics, but substantively very much about responsibility and the relationships between education and law. My 2017 book, Living Well Now and in the Future: Why Sustainability Matters, advances a conception of human flourishing or living well that can ground a eudaimonic theory of justice and support a conceptualization of what it would mean to preserve opportunities to live well across generations. Aristotle on the Necessity of Public Education (Lanham, MD: Rowman & Littlefield, 2000). “What Humans Need: Flourishing in Aristotelian Philosophy and Self-Determination Theory,” (R. M. Ryan, R. R. Curren, and E. L. Deci), in Alan S. Waterman, ed., The Best Within Us: Positive Psychology Perspectives on Eudaimonia (Washington, DC: American Psychological Association, 2013), pp. 57-75. This is the paper in which many years of conversations with Rich Ryan began to bear fruit. Rich and Ed, the founders of SDT, describe their theory as a form of eudaimonistic psychology, and they had been engaged in mining Aristotle’s works for testable hypotheses before I began working with them. This paper, written for an APA volume on positive psychology, provides an overview of SDT’s conceptualization of eudaimonic living as revolving around the “positive” fulfillments of human potential in activities that satisfy basic, universal psychological needs for competence, relatedness, and self-determination. I developed and refined the philosophical material, instigated the clarification of some pivotal constructs, and introduced the idea that the satisfaction of each basic psychological need is linked to and marks the fulfillment of a related specific form of human potential. The innovation helps explain why there would be exactly these three needs and why the satisfaction of all three proves to be essential to psychological wellness, positive affect, and satisfaction. “Aristotelian Necessities,” The Good Society 22(2) (Fall 2013): 247-63; http://www.jstor.org/stable/10.5325/goodsociety.22.2.0247. Drawing on my collaborations in eudaimonistic psychology and the unitary reading of Aristotle’s political science (aka, Politics and Nicomachean Ethics) that I developed in Aristotle on the Necessity of Public Education (2000), I sketch a eudaimonic contractualist theory of justice. It exploits Rawls’s allowance that robust findings in psychology and other sciences are knowable behind the veil of ignorance, and in that way justifies the deployment of claims about human nature and needs in Original Position deliberations about the principles on which just institutions would operate. The theory identifies the three basic, universal psychological needs identified by SDT as “felt Aristotelian necessities” for living well, and makes this a cornerstone of an alternative to Nussbaum’s version of the Capability Approach – also a liberal (freedom-respecting) form of eudaimonism, but a philosophically and textually more attractive rendering of justice as a fair terms of cooperation in living the good or eudaimonic lives Aristotle says we all aspire to live. “Judgment and the Aims of Education,” Social Philosophy & Policy 31(1) (Fall 2014): 36-59; http://dx.doi.org/10.1017/S0265052514000107. This paper defends the ancient idea that cultivation of broadly informed good judgment should be regarded as an important, culminating aim of education. That said, it wrestles with what can be saved of this ideal in a world in which the proliferation of esoteric branches of learning and correspondingly complex built environments seem to push its attainment ever further out of reach. Its attention to sustainability, complexity, and the idea of an epistemically well-ordered society reflect my ongoing concern with the epistemic dimensions of environmental justice and sustainability. “Good Friendships among Children: A Theoretical and Empirical Investigation,” (David Walker, Randall Curren & Chantel Jones), Journal for the Theory of Social Behaviour 46(3) (2016): 286-309. I provided the theoretical elements and majority of the writing for this study of the friendship assessments and aspirations of 10 and 11 year old children. I introduced a eudaimonic conception of friendship quality, identified aspects of moral virtue foundational to such quality, framed the hypothesis that we tested, collaborating in developing the coding scheme for the focus group data, and introduced the hypothesis that peer coaching may play a substantial role in moral development. SDT predicts that children would prefer peer relationships that exhibit mutual respect, support, and valuing of each other’s good character, and our findings provided support for this hypothesis. “On the Arc of Opportunity: Education, Credentialism, and Employment,” in Kory Schaff, ed., Fair Work: Ethics, Social Policy, Globalization (London: Rowman & Littlefield, 2017), pp. 59-77. The recent emergence of a neo-institutionalist perspective on education undercuts a foundational assumption of earlier models of the relationship between education and work and provides a wider perspective on the evolution of structures of opportunity in societies that have pursued universal education. This paper presents some key aspects of neo-institutionalism and considers how it revises our understanding of the impact of an intensifying pursuit of credentials. This establishes that the growth of institutionalized education has altered what I call the “structure of opportunity” – the nature of work, terms of access to it, and degree of occupational stratification. I consider some possible remedies for the problem of growing inequality: differentiated high school diplomas that would qualify students for work without going to college, compensatory education to equalize prospects of college admission and completion, and policies designed to reduce inequality directly. “Friday Night Lights Out: The End of Football in Schools,” (R. Curren & J. Blokhuis). Harvard Educational Review 88(2) (2018): 141-62, http://hepgjournals.org/doi/pdf/10.17763/1943-5045-88.2.141. This is a work of practical and professional ethics, grounded in research on traumatic brain injury and supplemented with legal analysis. It identifies three ethical principles that are violated by the sponsorship of tackle football programs by schools. It also provides a detailed analysis of why student and parent consent to participate in these programs does not release school authorities from their custodial responsibility to protect children from the cognitive harm suffered by approximately 25% of all high school football players. “Wisdom and the Origins of Moral Knowledge,” in Elisa Grimi, ed., Virtue Ethics: Retrospect and Prospect (Dordrecht: Springer, 2019). Aristotle presents his Nicomachean Ethics and Politics as an ordered pair comprising political science (hê politikê epistêmê), suggesting an axiomatic structure of theorems that are demonstratively deduced from first principles. He holds that this systematic knowledge of ethical and legislative matters provides the ‘universals’ essential to phronesis or practical wisdom, and that its acquisition begins in sound habituation. Aristotle thereby assigns habituation an epistemic role that must be understood in light of his account of the nature of a science. This paper argues that what would be inductively established by, or on the basis of, sound habituation is the supposition that the natural kind of activity constitutive of living well exists; it establishes the supposition on which Aristotle’s definition of a eudaimon life rests. Having addressed this central interpretive issue, the paper sketches a psychologically grounded position on the substantive philosophical questions at stake. Are there natural signs of flourishing and failure to flourish present to us in our experience of attempts to live well? If such signs exist but are not sufficient to qualify ethical beliefs as knowledge in their own right, might they play a role in a science of what is good and bad for human beings?